Johan and Tony were genuine, knowledgeable and helpful! 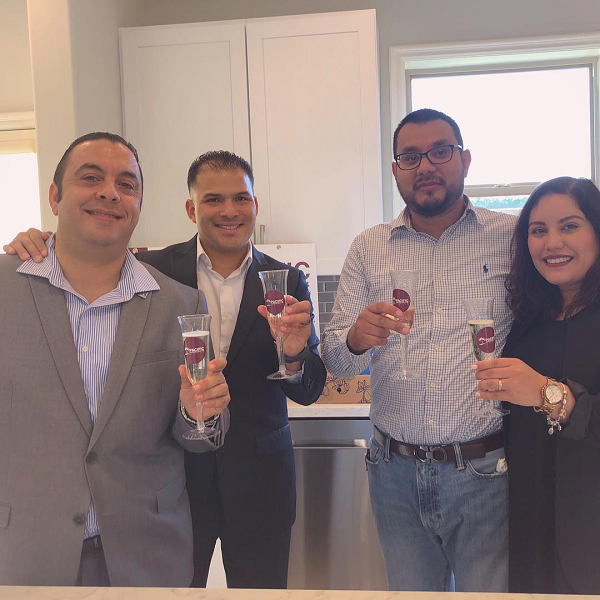 Purchasing our first home would’ve not been possible without our realtor agents Johan Cisneros and Tony Tadros at Pacific Properties Realty Group. They came together and worked diligently to make our home purchasing happen. They worked long hours and were a pleasure to work with. They made our experience one that we will never forget. We are grateful to have worked with a team that went above and beyond. They were genuine, knowledgeable and helpful in every step of the way. Any questions we had they answered without any hesitation. They also gave us advice on how we should approach home buying and connected us with Celina Toscano our mortgage loan officer. She followed through with all documents needed for the loan. Looking for a home took time and most of all, patience. They promised to find us our home and they did! 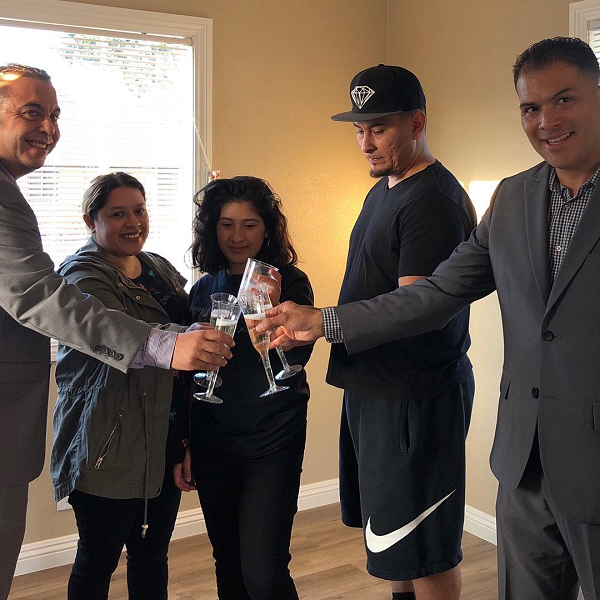 For anyone looking for a realtor that’s going to deliver, we strongly recommend Johan Cisneros and his team at Pacific Properties Realty Group. We will use Johan and his team of professionals again without hesitation! We narrowed our realtor choices from 20 to 10 to 3 to 1-and Johan stood out like the shining, hard-working professional that he is and that we were praying for. My sisters and I were selling our parents home of 54 years. Johan carefully guided us and developed a strategy that resulted in multiple offers, a small bidding war, an escrow that went smoothly and us getting exactly what we wanted for the property. The team that Johan works with were all considerate, attentive to detail and respectful-like Johan himself. We will use Johan and his team of professionals again without hesitation! Johan brought a meticulous attention to detail! We recently had the pleasure of working with Johan and his team to sell our family home. With professionalism, courtesy and a personal approach the experience was one of complete satisfaction. Johan brought a meticulous attention to detail that highlighted points of a sturdy yet aging house leading to several interested parties with solid offers, a rapid sales agreement combined with a smooth escrow that has left my family and I amazed and grateful!! Johan, Jairo, Yesenia, Tony...listing each and every member of a such a friendly hardworking team would be optimum but suffice to say working with them has been everything we could have wished for or expected-our Appreciation to You All! Johan "The Running Realtor" helped me buy two homes and sell one home. I can't say enough about Johan's professionalism and knowledge of real estate. Not only is he a good realtor but he also understands all aspects of home inspections (general, termite, and foundation). 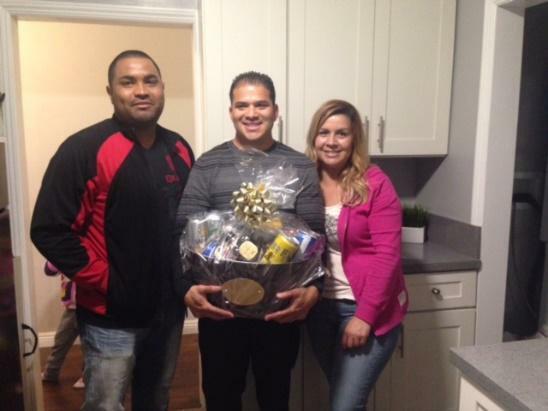 Johan helped me buy and sell my first home in South LA. He also helped me buy my current home in Paramount. He was able to find me a new construction and he made it happen. Additionally he also understood the appraisal process very well and worked closely with the lender of our choice. Johan made the home buying process simple and almost stress free. I especially appreciated that he was always available (phone,text, or email) no matter how big or small the issue. This open communication made me and my wife very comfortable. He represented us with his expertise! 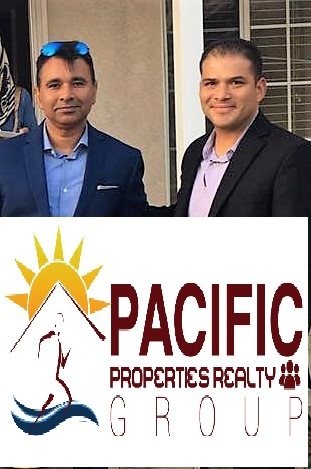 Johan Cisneros the broker with Pacific Properties Realty provided us with the utmost in professionalism, knowledge, and integrity in the sale of our church. He represented us with his expertise in a manner that made us feel comfortable by listening intently to our needs. The marketing and sale was in a timely manner with updates all along the way. I would recommend this broker (and already have) to anyone who needs an honest broker to represent them with the highest quality of integrity and wisdom. When he represents you he gives all of his attention and effort in helping you to reach your financial goals. I highly recommend Johan Realty. Thank you and bless you. Johan is one of the best real estate agents in the South Bay! Johan Cisneros is probably one of the best real estate agents in the South Bay. Hiring Johan and his team is one of the smartest decisions my wife and I have ever made. Take fifteen minutes to meet with him and hear him out, it’s definitely worth your time. I had always heard that selling a house is a lengthy, scary and sometimes perilous process but not with Johan. He and his team not only put us at ease and talked us through every step of the way; they went OVER and ABOVE The call of duty to get us the highest price possible for our home. We almost went with the same agents that have worked in our community for decades but upon meeting with Johan we knew that he was the best possible choice. He's young, energetic and works hard for every sale. He utilized all available online resources as well as social media. He has top-notch designers, photographers, and construction, all dedicated to making your house as appealing as possible to potential buyers. The open house went off without a hitch and we soon had multiple offers. I don't write many reviews and I certainly don't gush over people very often but Johan deserves the praise. He did extremely well by me and my family and cares enough to follow up and show genuine interest in us long after the transaction is over. I would recommend Johan to anyone and will undoubtedly be using him again in the future for any of my real estate needs. 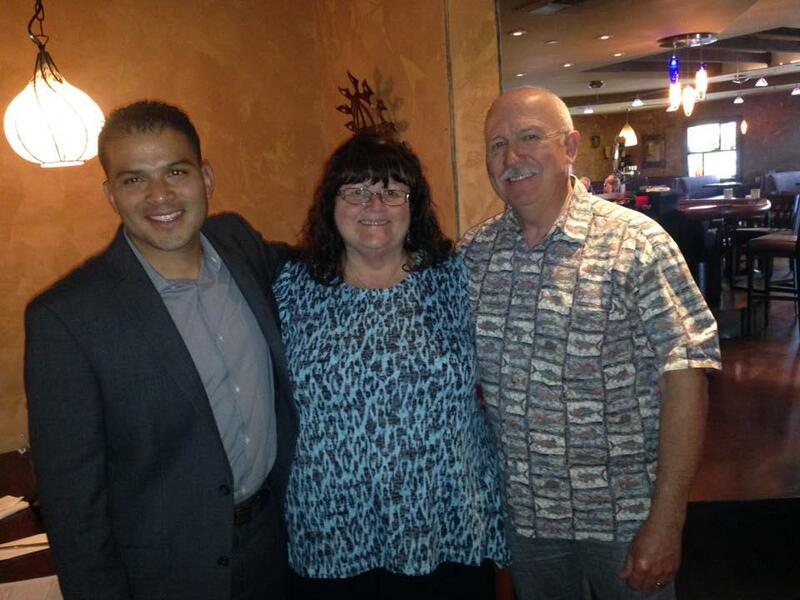 Johan Cisneros & Pacific Properties Realty Group Team is the Dream Team! 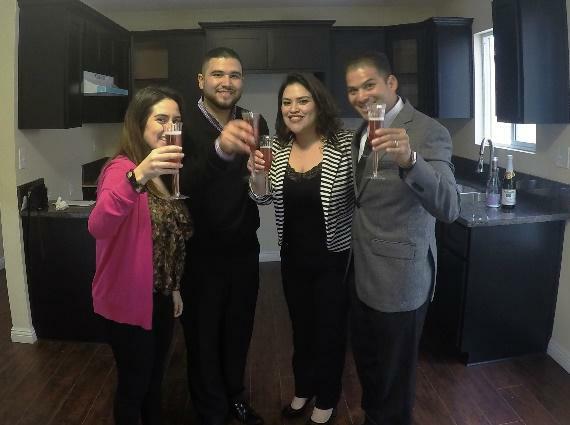 Johan Cisneros & Pacific Properties Realty Group Team is the Dream Team! I am so glad I used Johan for buying my house in Hawthorne CA. It was my first time buying home for me, so I had no idea what needed to be done. Johan gave me a lot of information at our initial meeting, including an analysis of the housing prices in my neighborhood. Johan and his team always made sure I understood everything and felt comfortable with the process. He always kept me updated with what was going on, really quick on responding to any questions I had or anything that I needed. Even while we were waiting to close, the team would check up on me every week just to see if I needed anything. The whole experience was nothing but positive, I understand buying a home can be stressful but I did not feel that one bit. An amazing team with incredible energy and enthusiasm! They truly take real estate to the next level by being service driven and people oriented...something all real estate professionals should exemplify! Looking forward to do more business with Johan & Pacific Properties Realty Group Team in the Future! Johan helped us sell our investment property! Johan did a great job helping us sell our house in Hawthorne. We really appreciated all his hard work. We are happy to have Johan as our Realtor®! 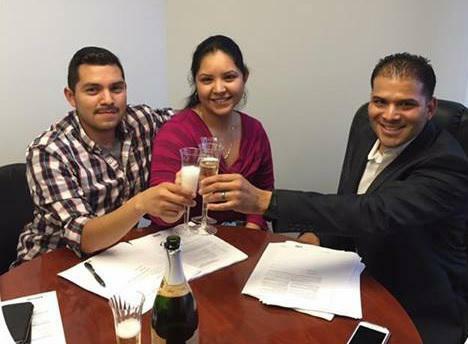 I don't think my home buying experience would have been as smooth as it was were it not for Johan Cisneros. He is very knowledgeable and fun to work with, but most importantly to me, he always returned my calls or answered the phone promptly. He doesn't over promise things and fail to deliver, on the contrary, he over delivered on what he said he would try to help us accomplish. When our offer got accepted, he negotiated a great discount for us. Not only will Johan be with you every step of the way to closing, he also helped us afterwards with transferring utility services to our new home and even offered to help me remove some clutter that was left in front of my house. I'm very happy to have chosen Johan as my Realtor because the guy just loves to serve others and I couldn't see myself doing business with anyone else. He is an awesome negotiator and advisor®! We are extremely appreciative of Johan, he worked at crazy hours of the night and morning to assure we got the most for our dollar, he's an awesome negotiator and advisor. We are first time buyers so a lot of the process was foreign to us and he was always there to translate and guide us. He's kind, friendly with a sense of humor, he's on top of his stuff :) he'll go all day negotiating crazy requests for us until the seller agreed!! Thank you so much Johan! He's a family man which means we shared similar values. He even had to bring his kids at times just to accommodate our work schedules, that meant a lot - and his kids are so cute and polite. We totally recommend him and will be forever thankful. Muchas Gracias Johan y que Diosito te siga bendiciendo a ti y tu familia! The Running Realtor® helped me buy my first home! Johan got me my first home. The "Running Realtor" was able to work with the seller to get my offer accepted. There were multiple offers on the home but Johan's strategy paid off. I can't say enough about Johan's professionalism and knowledge of real estate. Not only is he a good realtor but he also understands all aspects of home inspections (general, termite, and foundation). He also understood the appraisal process very well and worked closely with the lender of our choice. Johan made the home buying process simple and almost stress free. I especially appreciated that he was always available (phone text, or email) no matter how big or small the issue. This open communication made me and my wife very comfortable. I look forward to working with Johan in the future whether it’s selling or buying a home. Johan did an amazing job selling my condo! I owe Johan many reviews...he did an amazing job selling a condo that I no longer wanted to own. I had so many issues starting with a horrible tenant, and HOA not responding to my demands of the property. But Johan came to my rescue! All I had to do was sign the contract and I was no longer the owner. He took care of the tenant and related issues that with the property. If you want a detailed Realtor® to take care of you, go with The Running Realtor® Johan Cisneros. 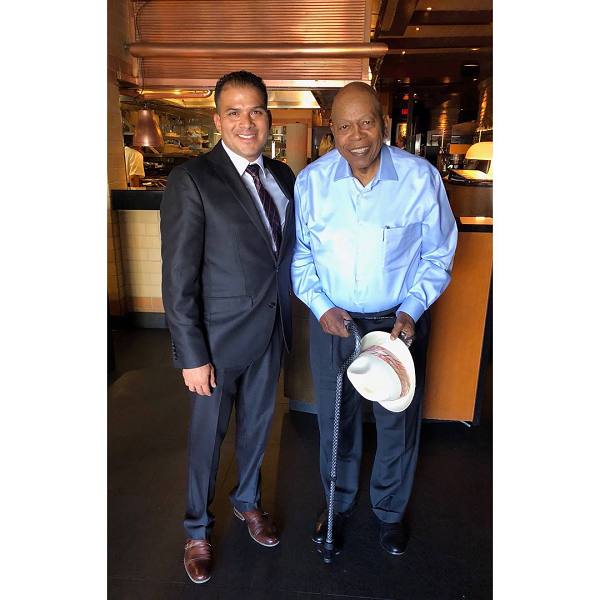 I am a probate attorney and would recommend Johan Cisneros. My client chose him to help sell an estate property. Because it was court supervised and we had some other issues - it took patience on Mr. Cisneros' part. He stuck with the representation and provided my client with excellent service. Johan always made himself available! If yelped allowed more stars, Johan would definitely deserve them all! My husband and I decided to start looking for our first home and had no idea where to start. Not only were we clueless about the whole process but extremely nervous. Johan helped us so much in understanding the whole process not just once but repeatedly throughout the way, because trust me, we had so many questions! Since my husband and I both work nine hour shifts, he always made himself available to look at houses whether it be late at night or all day Saturday. He is very patient, understanding, and honest. He never once pressured us to do something we weren't 100% on. He was honest by letting us know of certain circumstances or situations of a house that we wouldn't notice or had no clue on. He is very reliable and is always there no matter what time of day. He goes above and beyond for all his clients that no one would ever do. Even after everything was all finalized Johan continued to help us with questions we had about the house. I know we chose the best realtor in helping us buy our first home! I would highly recommend Johan to my family and friends. 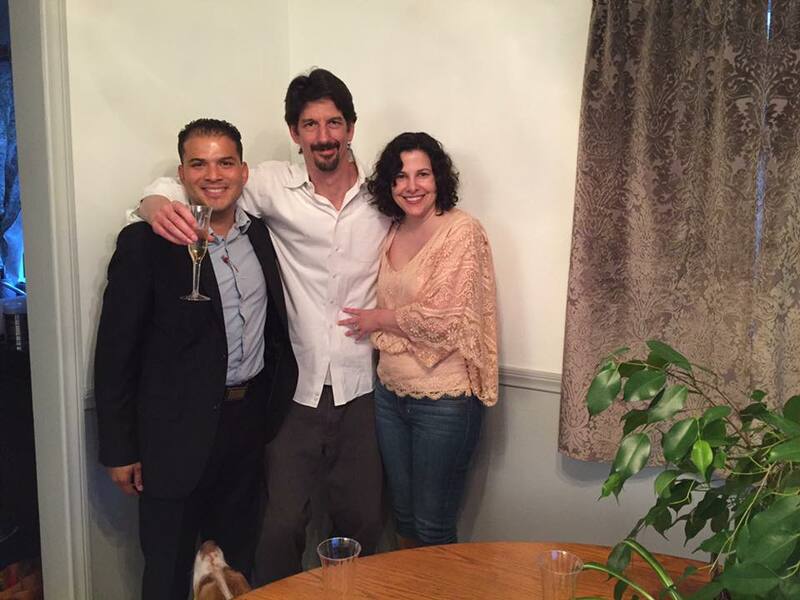 Not only did Johan become our realtor but part of our family! She would put her hands on fire for him! My wife and I are first time homebuyers. For a short while we were looking at houses on our own. However, one day my wife mentioned to her aunt Margarita that we were looking for a home. Her aunt recommended Johan Cisneros and clearly stated she would put her hands on fire for him (meaning she has full trust and confidence in Johan as a person and Real Estate Agent). We decided to give him a call, and it was the greatest blessing. We were not disappointed for he is very patient, respectful, knowledgeable, extremely professional and has plenty of experience in the business. Finding a home became less stressful because we knew we had and excellent honest agent guiding us through the process of purchasing it. He explained every single step along the way and, he was always available regardless of the time or day. I highly recommend Johan because his main focus is providing excellent service and getting you that perfect home.